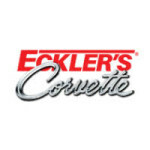 Eckler’s Corvette has more than thirty thousand parts and accessories to help you restore Corvettes manufactured between 1953 and 2017. You can buy parts pertaining to heating and air conditioning, audio, brakes, electrical fittings, engines, exhaust, exterior and interior, fuel systems, steering, chassis, suspension, driveline and transmission, tires and wheels, performance and more. You can shop by generation of Corvette. You can explore almost antique parts and the latest parts. The store also sells dash pads, door panels, seat covers, consoles, grilles, bumpers, window glass, fenders, trunk lids, hoods, floor pans, quarter panels, ball joints, sway bars and springs, among others.